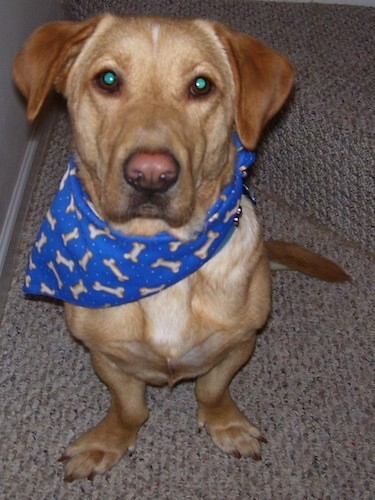 "This is a picture of our dog Buford. We adopted him from Hightower Farm and Animal Sanctuary in Snellville, Georgia. He is a Basset Hound, Labador and Corgi Mix. He is an attention getter. People are always wanting to know what kind of dog he is. He is very friendly. Buford weighs about 40 pounds and loves to lay on my lap!"